It happens to us all. We are taking a bath, cleaning up the bathroom, or trying to get our hair to look just right for that important interview or concert, and all of a sudden the water just won’t go down the drain. You may try to fish around inside of it for some time, hoping to get out the item that is in the way so you can go back to your work, but it is no use. The drain is clogged and nothing is getting through. 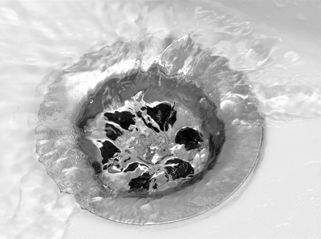 It may be time to call in the professionals to take care of your Drain Cleaning in Mesa, AZ to prevent future messes and to make the bathroom good as new. Hair—your hair often just falls out with normal washing and combing, but try to pick this up as much as possible so it doesn’t get in the drains. Gels and hair products—these are almost worse than the hair because they can get in the drain and really get stuck bad. Other bathroom items—items like hair ties, bobby pins, and so much else can easily get caught down the drain and will clog it up. Keep track of all the items you are using in the bathroom and try to avoid letting them get into the drain. If you need any help with Drain Cleaning in Mesa, AZ call us today.